The Middle Passage of the European Transatlantic Slave Trade brought more than 380,000 enslaved Africans to the United States and looms large in our memories of slavery in terms of its brutality and inhumanity. But the scope of internal slave trade in the United States dwarfs the Transatlantic trade in terms of the numbers of human lives affected. The internal slave trade involved the sale and transport of more than one million enslaved Africans from the east coast, inland and by sea, as the US expanded its borders west and south. No less devastating for those it affected than the Middle Passage, it deserves far more attention in terms of chronicling its enduring impact on the black family and documenting how black folks responded to and coped with separation and loss. Heather Andrea Williams, an associate professor at the University of North Carolina at Chapel Hill, uses recovered voices from personal letters, interviews, diaries, newspaper advertisements, memoirs, and other documentary sources to chronicle individual struggles to find and reconnect with loved ones lost to slavery. The forced separation of family members during the internal slave trade caused immeasurable grief and heartbreak to a people already severely damaged by the American slaveocracy system and its dehumanizing exploitation of their bodies and minds. The first critical tasks for many newly freed Africans in the aftermath of the Civil War was to seek to heal themselves by finding their lost parents, spouses, children, and siblings. With a deft narrative hand and a superb grasp of the psychological and emotional impact of their losses, Williams puts human faces to these often futile quests and allows the voices of her subjects take the lead in telling their own stories of trials, tribulations, and the far too few cases of successful family reunions. 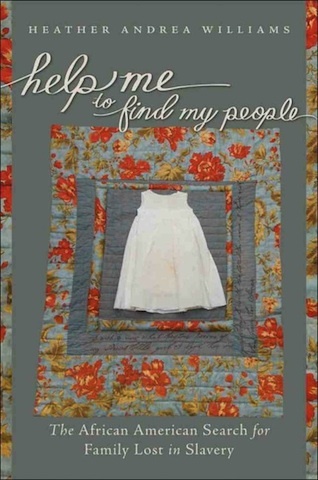 Help Me to Find My People is essential reading for anyone interested in the history of the United States and the devastating impact of the slave trade and slavery on the lives of those forced into a permanent and hereditary servile class. For those of us currently engaged in genealogical research, Williams’ book further underscores the challenges we face as we attempt to locate and restore ancestral connections that existed prior to the Civil War. The losses she chronicles thus continue to impact us today as we search for our roots to learn the histories of our families and their struggles and triumphs in slavery and freedom. It is not possible to even begin to estimate how many people acted on their hope and searched for family members or sent messages or received news through the grapevines that stretched from Canada to Texas, from Boston to California, and frayed under the strain of the distance and the silence. Some people, unable to cope with the dissonance of caring for someone who might already be dead and, in any event, would not likely return, surely eased loved ones from their memories. But others carried the memories with them as they went about their labor of slavery, passed through the hands of one owner to another, and created new families. They were slaves with few material resources and severely constricted mobility, yet some made efforts to search for their families. They had to be opportunistic, willing to seize any chance to make contact with a lost relative. And they had to be strategic, devising targeted appeals for help. When they were able, they sent out missives and messengers who might bring back the dead. Also check out this interview with Heather Andrea Williams conducted in June 2012. Cameroon-born singer/songwriter Sandra Nkake brings an eclectic sensibility to her music-making that never fails to entertain. 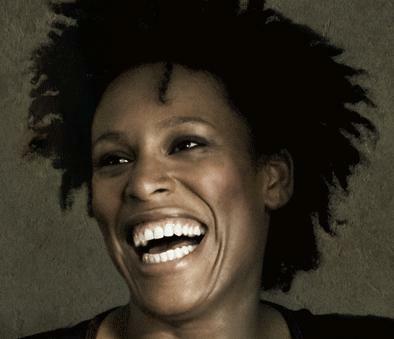 The videos below feature two tracks from her 2012 album: Nothing for Granted.